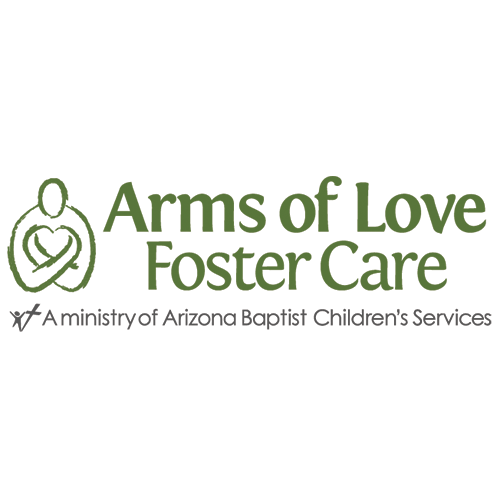 Arms of Love foster care is a program of Arizona Baptist Children’s Services (ABCS). ABCS has dedicated itself to meeting the needs of children and families since 1960. Arms of Love offers hope and help to children and families in need by providing a safe, loving and stable temporary living environment. ABCS seeks families who are willing to open their home to foster children of school age, siblings groups and teens. At ABCS we offer emotional and spiritual support to our families as well as material support through donations from the community. ABCS staff will encourage you when parenting challenges come along providing you with behavioral management techniques, implementing resources and prayer support. The goal of our family atmosphere is that you will feel encouraged and supported as you face the joys and challenges of providing foster care through our agency.